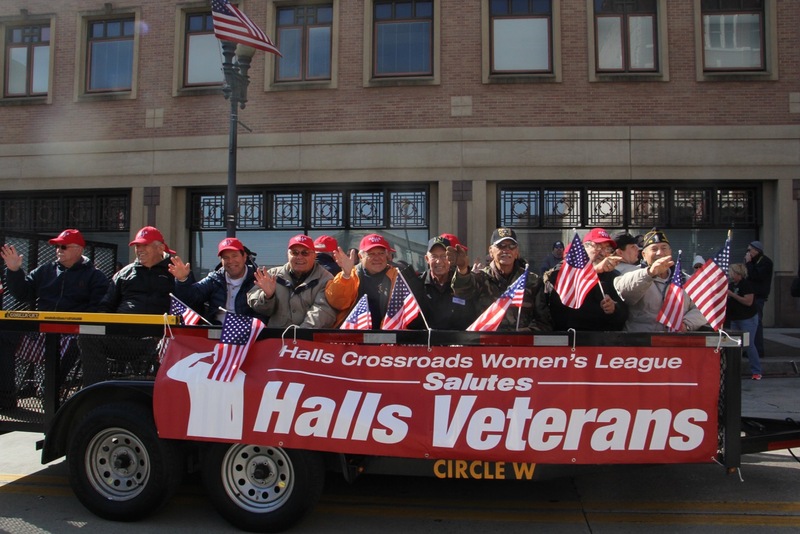 The Halls Crossroads Women’s League came through with flying colors for Halls veterans last week, sponsoring three truckloads of veterans in the downtown Knoxville Veterans Day Parade. The Women’s League gave each veteran a red Halls Veteran hat and made sure they had transportation to and from the parade, plus floats to ride on in the parade. After the parade, the Women’s League treated participating veterans to a barbecue lunch at Salem Baptist Church. Each veteran’s name was announced, along with where, when and in which branch of the service he or she served. 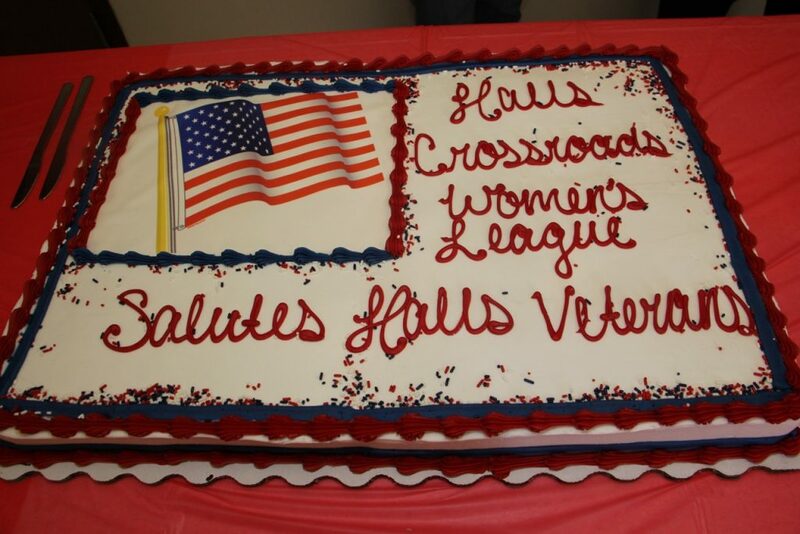 This cake was served at the Halls Crossroads Women’s League luncheon for veterans following the parade. 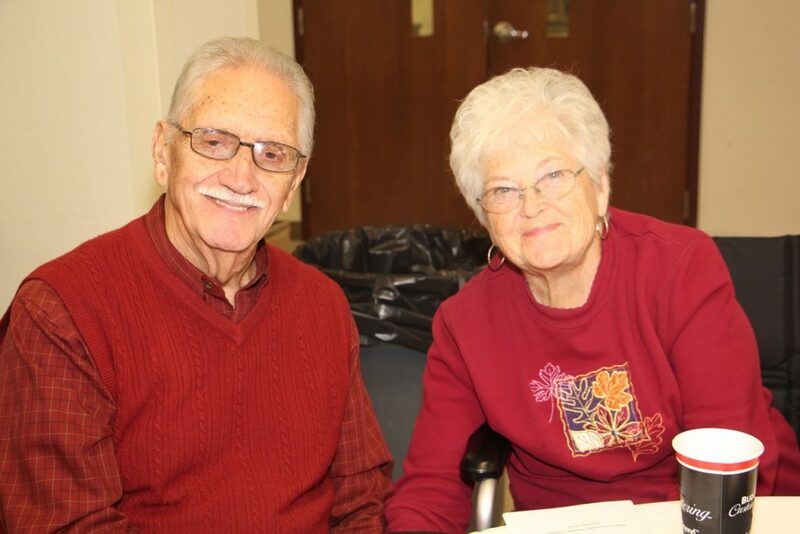 Gail and Phillip Lay enjoy lunch at Salem Baptist Church after the Veterans Day Parade. 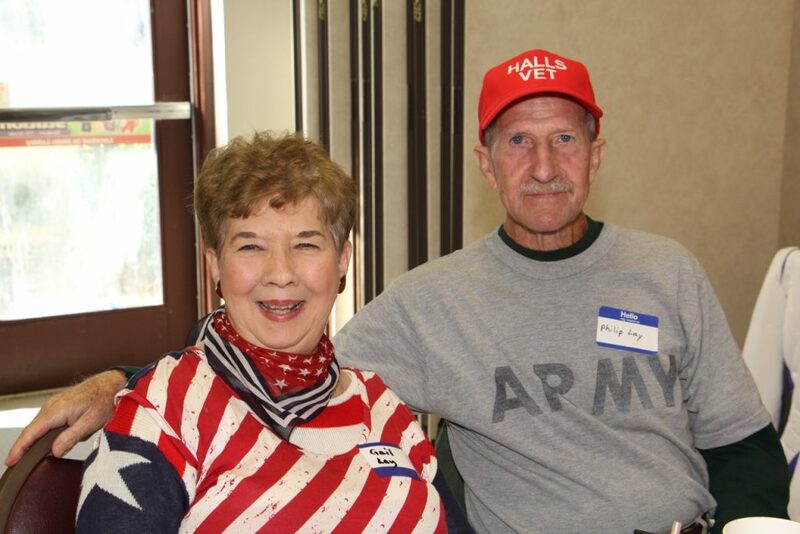 Ed and Millie Norris celebrate Veterans Day with the Halls Crossroads Women’s League. 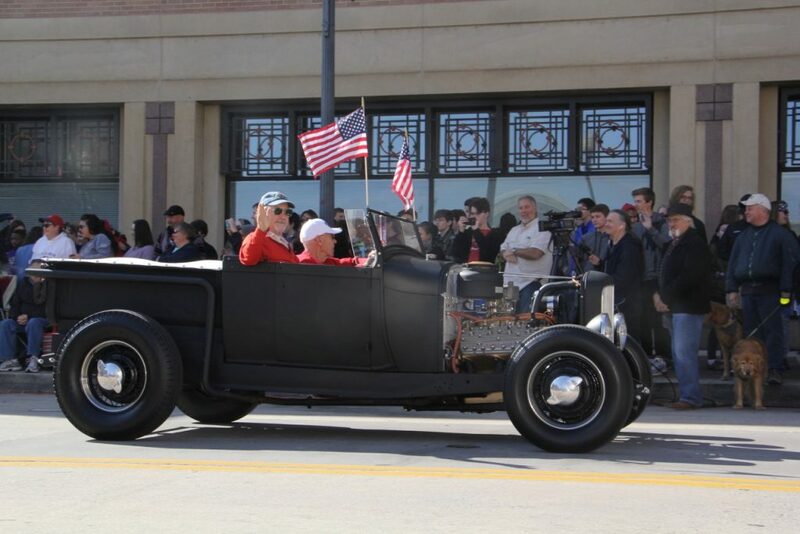 This classic truck was part of the Halls Veterans section of the Veterans Day Parade.